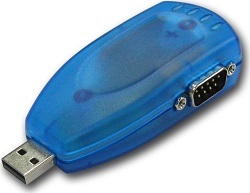 USB to 2 Serial Ports Adapter. Comes with a USB cable of approximately 3 feet. FTDI chipset. 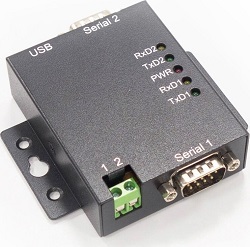 USB to 2 Serial Ports Adapter. 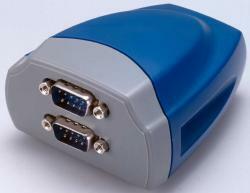 Provides transmit & receive lights for both ports. Comes with a USB cable of approximately 3 feet. FTDI chipset. USB to 2 Serial Ports Adapter, metal housing. Comes with a USB cable of approximately 3 feet. FTDI chipset.